One of the best aspects of Stranger Things is the way it uses simple effects to pack a big punch. And that’s especially true of the way Joyce Byers (Winona Ryder) communicates with her lost son, Will. 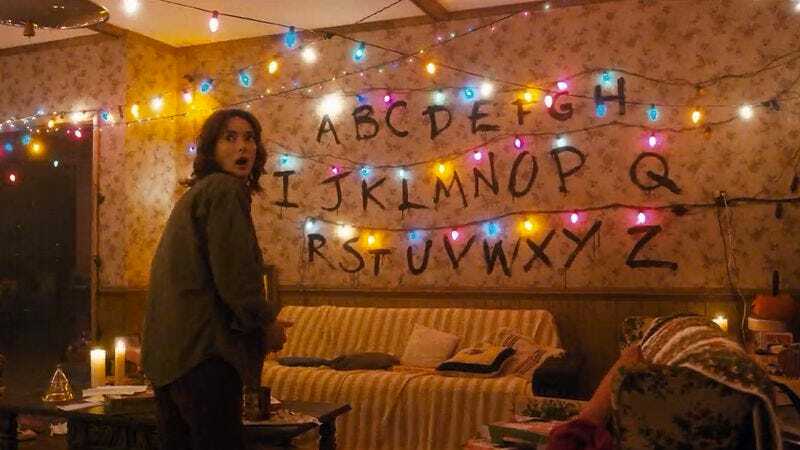 After figuring out that Will can manipulate light from his otherworldly prison, Joyce strings up some Christmas lights over a series of letters and figures out a rudimentary way to get messages from him. And now you can use that same idea to harass your friends! Cockeyed.com has created a program that lets you type in a message of your choosing and see it spelled out in lights. Simply enter your message in the bottom left corner and hit submit. That will produce a unique link at the top of the page, which leads to a GIF of the message. The only real limitation is that there isn’t a light bulb on the letter “Z,” so messages about zoos and zebras are out. And there’s no punctuation, which might make those Stranger Things marriage proposals a little more confusing. Otherwise, the sky’s the limit.